In upcoming markets the construction and property development is moving towards peak and many foreign investors are being attracted by it. 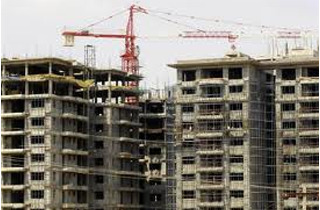 Now India has become the far most moving constructions and the property development market all over Asia are witnessing a greater size of Foreign Direct Investment in this highly profitable sector. Due to the high real estate boom in India, the construction zones have seen a greater demand on construction material. This Construction industry is growing from US$ 14 billion in 2005 to US$ 90 billion by 2015 said by a report. By globally assuming the construction and property development the industry is rapidly growing and continues to get of funds. The thriving property growth is expected to sum around 66 million sq feet space which is the eight largest Indian cities and 14 million sq feet in the next 7 bigger cities. There is a greater Demand on hotel rooms, multiplex complexes and apartments which are rising day by day. According to the source from Ministry of Tourism, India will observe 3 million hotel rooms when compared to 1.2 million in 2010. The High demands for living room have attracted many investors and builders and that insisted to add more hotels, and building.And recent report says that Indian property development business has topped the list with 50 per cent rapid increase followed by China and some South East Asian capitals. IT sector, Hotel industries, corporate sector, medical sector, Tourism sector, etc are surpassing a greater and larger growth, which have increased greater demand for quality construction material and keen manpower. Analyst believes that over 359 million sq feet of office space will be needed by end of 2012-13 to meet greater demands. And this will necessitate a greater demand for quantity of construction material like cement, bricks, pipes, wires, etc.